At first this sounded like the ravings of a lunatic or religious fanatic, but his startled family and friends knew that he was neither. Only hours earlier on August 26, 1988, Spiller, a civil engineer in Zurich, Switzerland, laid lifeless on a hospital stretcher, a victim of a severe automobile crash. For nearly twenty minutes, doctors frantically struggled to revive his vital signs with no success, but finally one last electrical burst from the defibrillator unit produced a faint heartbeat. Amazingly, Spiller survived and eventually recovered fully from his injuries. The doctor, heart specialist Robert Suter, confirmed that Spiller had been clinically dead for at least eighteen minutes on the operating table before he was revived. But even more startling than his miraculous recovery, was Spillers shocking description of an after-life experience in which he claimed to see the fires of Hell! Spillers true testimony, which was reported in a major U.S. newspaper, is remarkably accurate to the Bibles description of Hell. It may surprise many people to learn that in the New Testament, Jesus actually taught more about Hell than Heaven, indicating that it is a real place called the Lake of Fire (Rev. 20:14-15). According to the Bible it is a realm of punishment that was originally prepared only for the Devil and his angels (Matt. 25:41), where tormenting fire will never cease (Mark 9:44, Matt. 25:46), and where there will be weeping and gnashing of teeth in outer darkness for eternity (Matt. 22:13). Who will go to Hell? Instinctively we may think of the sinister kind of people... murderers, drug pushers, child molesters, etc. 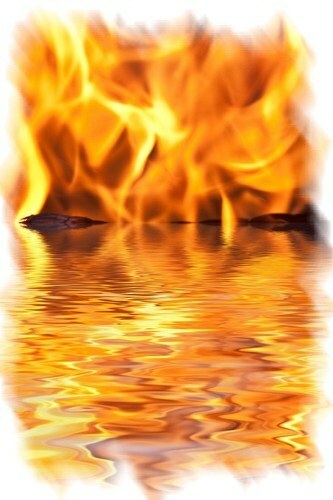 However, the Bible says: ...anyone not found written in the Book of Life was cast into the lake of fire. (Rev. 20:15). This tells us that Hell will not only contain such evil people, but all those whose names are not written in the Book of Life. According to the Bible, all human beings have a sinful nature that will condemn them to hell (Rom. 3:23, Rom. 6:23) unless they receive Gods gift of life. The Book of Life is the registry of Heaven, containing the names of all those who have received Gods gift. No one recorded in the book will go to Hell. So how do we get our name written in the book of life? By placing faith in Gods Son, Jesus Christ, as our Lord and Savior! The scripture tells us that God sent Jesus into the world to take our sins upon Himself, as our substitute (2 Pet 2:24). He bore our sins, and died in our place -- so that all who would believe in Him and His sacrificial work would be saved. God so loved the world that He gave His only begotten Son, that whoever believes in Him should not perish but have everlasting life (John 3:16). At the moment that we sincerely repent of our sins, and place our faith in Christ to live for Him, our name is written in Heaven (Luke 10:20), and someday when our body dies, our soul will go to Heaven to be with the Lord for eternity (Col. 1:5). How about you? Is your name written in Heaven? Are you living for God? Are you a backslider? If you would die tonight, are you sure that you would go to Heaven, instead of Hell? For the sake of eternity, please dont wait another minute! Call upon Jesus in sincerity and ask Him to become your Savior. As the scripture states: ...if you confess with your mouth the Lord Jesus and believe in your heart that God has raised Him from the dead, you will be saved (Romans 10:9). The scripture states: But there shall by no means enter it (Heaven) anything that defiles, or causes an abomination or a lie, but only those who are written in the Lambs Book of Life. (Rev. 21:27). Now that youve become a Christian, be sure to find a good Bible-believing church to attend regularly. Contact us at the address below and well send you more information that will help in your new Christian faith. -- God bless you! To learn more about your new life in Christ, go to: Steps for New Christians. This article (VL-128) is copyrighted © by Dr. Dale A. Robbins, 1990-2019 and is a publication of Victorious Publications, Grass Valley, CA - Nashville, TN. Unless otherwise stated, all scripture references were taken from The New King James Bible, © Thomas Nelson Inc., 1982. You may download this article for personal use as long as you retain credit to the author. Obtain permission before reproducing copies for any reason, by filling out our simple use permission form. Many of our writings are also available as free pdf tri-fold pamphlets, which can be downloaded for reproduction from our Online Catalog. For media reproduction rights, or to obtain quantities of this title in other formats, email us. If you have appreciated these online materials, help us reach the world with the Gospel by considering a monthly or one-time tax-deductable donation.